When Lily Born was eight years old, she noticed that her grandpa, who has Parkinson’s Disease, was knocking over his cup a lot, creating spills that grandma needed to clean up. Inspired, she came up with the idea for a three-legged cup that won’t tip over. After prototyping for several years, first with hand-moldable plastic and then with clay at a pottery studio, her Kangaroo Cup was ready for production. 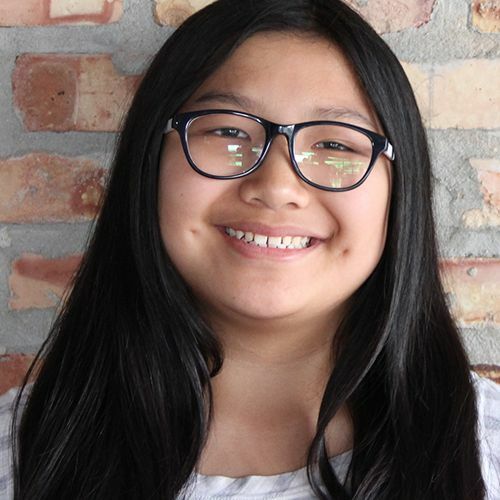 Now a seasoned 12-year-old, Lily has sold over $100,000 worth of cups primarily through crowdfunding sites Indiegogo and Kickstarter. She’s been featured on CNN Heroes, NPR’s Weekend Edition, WGN’s Morning News and on CBS News, and has been profiled by Fast Company, Business Insider, The Daily Mail (UK) and The Telegraph (UK), The Chicago Tribune and Crain’s Chicago Business. Lily has also been recognized by A Mighty Girl and Amy Poehler’s Smart Girls as someone who inspires other girls to follow their passions and dreams.